It corrects the vitamin C deficiency and boosts the body’s immunity. It is recommended for colds and flu. It strengthens blood vessels and supports collagen production. 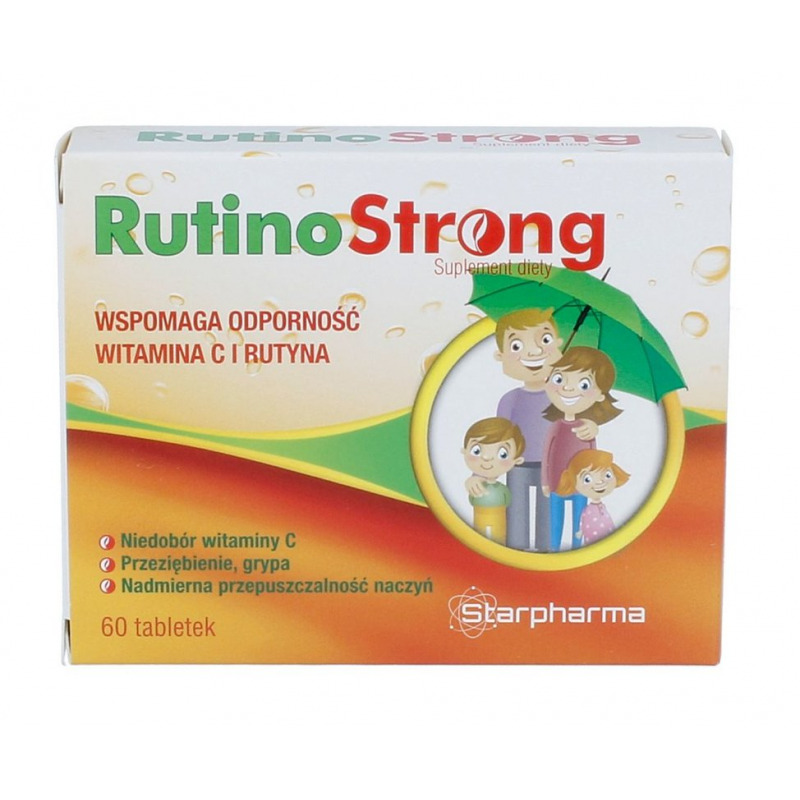 The RutinoStrong food supplement is rich in vitamin C and rutin. Vitamin C contributes to normal immune system function. It also helps reduce the feeling of fatigue and weariness, and has a positive effect on the nervous system. It supports the production of collagen, which ensures normal function of blood vessels, bones and skin. Rutin slows down the oxidation of vitamin C, acts as an anti-inflammatory and prevents the formation of free radicals. Take 1 tablet daily with water (preferably before a meal). Do not exceed the recommended daily dose, i.e. 2 tablets a day. Dietary supplements should not be used as a substitute for a balanced and varied diet.